Guarneri del Gesu — Gamut Music. Inc.
Guiseppe Guarneri del Gesú made some of the most interesting and mysterious violins in the 18th century. His life and work has been the subject of myth and legend since his death in 1744. The instruments he left us are perhaps the most creative and artistic, certainly the most individual, of the Golden age of Cremonese violin making. The instrument I have chosen as a model here is an early example of del Gesú's work. 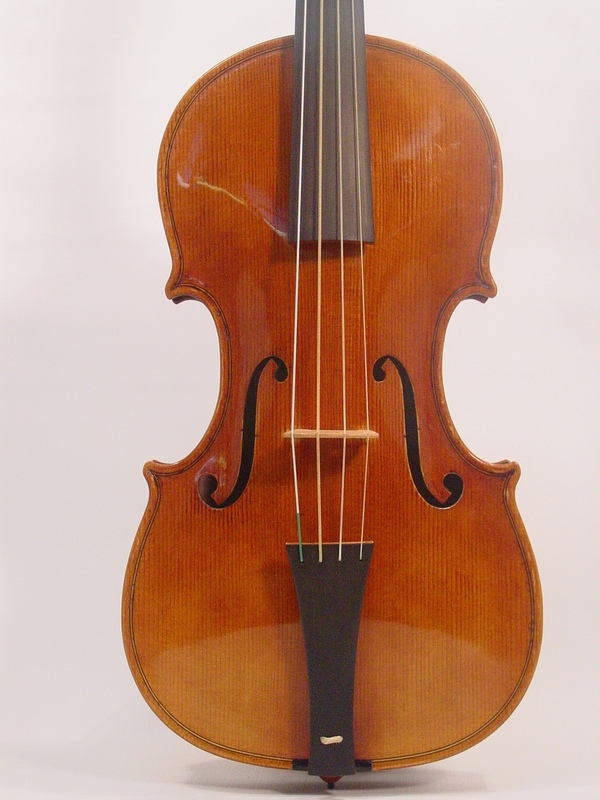 The original instrument is known as the "Stretton" violin and was made in 1726 or 1729. It is a bold design resulting in a full, powerful tone. For an explanation of the violin set-ups, please click here. The instrument is made from fine materials with a Rubio ground sealer. The coloring is applied in layers of madder lake between the varnish coats. The varnish is made from dark Baltic amber.